If you are looking to diversify your business industry knowledge, this program provides an one of a kind experience that takes you through the in-depth history of the industry leader, Anheuser-Busch. 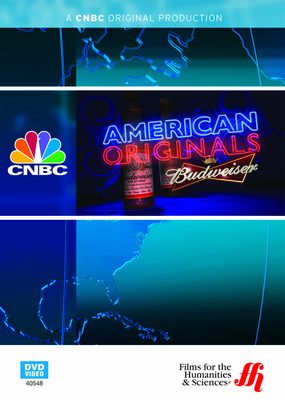 CNBC original program provides a deep analysis of the industry leader, Anheuser-Busch, and the world of American beer by showing the inner-workings of Budweiser, 'the King of Beers'. Only CNBC can provide the most accurate history of Anheuser-Busch, as this is the first time in history that the company allowed access into its business operations. CNBC traces the history of Anheuser-Busch through its creative birth of the Budweiser brand that dates back to the Prohibition era. CNBC takes a look at Anheuser-Busch's television advertisements efforts that were conducted in 1950's and during many popular Super Bowl games which lead the industry leader to dominate the U.S. beer market. Micro brewers, Imports, and alternative beverages and their affect on Budweiser's profitability is also discussed in the program.